I’ve been waiting on pins and needles for my turn to post because I’m just so excited to share my student portfolio conferences with you! At my school, we have two conferences each year. The first is where we’d like all parents to attend and is your typical parent-teacher conference. The second conference is held in February and is on an as-need basis. We are contracted to stay from 3:30-9:30. Last year, out of the 7 conferences I scheduled, only 3 actually came. This left me sitting around in my room trying to kill time for what seemed like forever. 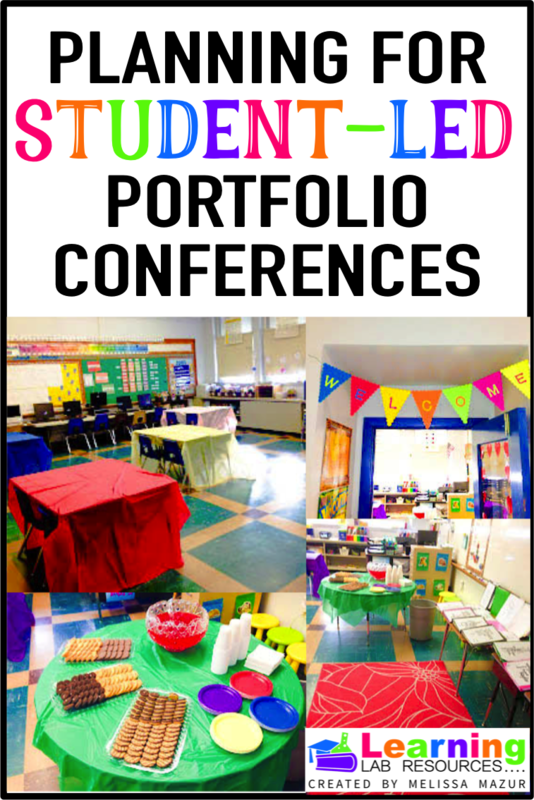 Over the summer, I had the idea of having student portfolio conferences, where the students were to present some work that they’d share with their parents. 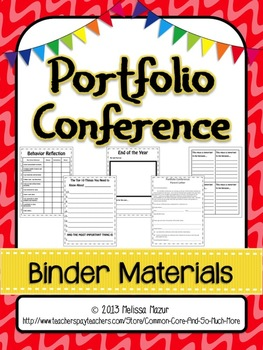 These portfolio conferences would allow the students to talk about their schoolwork and goals they have set and accomplished. On the first week of school, I requested the parents send in a 1 inch binder with a clear plastic sleeve on the outside. We created Wordles with adjectives and words that described each student and used this as the cover. I made sure that each kiddo typed their name at least 3 time more than any other word to make it stand out on the page. Then, the tricky part. Collecting artifacts. I did save a few items for all students that I wanted in their portfolio such as first math tests, first reading tests, and some writing assignments. The students were also able to select what they wanted to include. I tried to emphasize that not everything in the portfolio should be ‘A’ work because I wanted them to see how they could improve on some items and reflect on what they could do to grow. I placed each type of reflection tag in a manilla envelope with an example tag glued to the outside. I tried to set aside a few times a month where the students would spend tagging and reflecting. It’s probably a lot easier to do this as you go instead of a mad rush right before conferences! The days leading up to the conferences, I had the students practice presenting their portfolios to friends in class. They really loved pretending their partner was “Mom” or “Dad”. We worked on good presenting techniques and pacing. In order to make this work, there was no way I could schedule the typical 10-15 minute conferences. There was just too much to share in that time. So….I decided to make this a casual event where I scheduled 3 families to come during the same time slot. Each slot was 30 minutes. 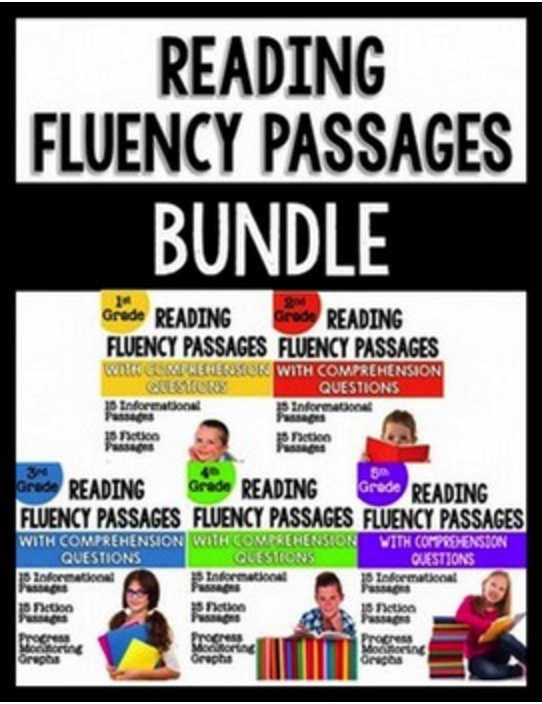 This would allow for all my students to spend enough time with their families. The children were responsible for walking in, grabbing their portfolio, and starting their conference. I circled the classroom and checked in for a few minutes with each family. Overall, I think the night went off flawlessly! 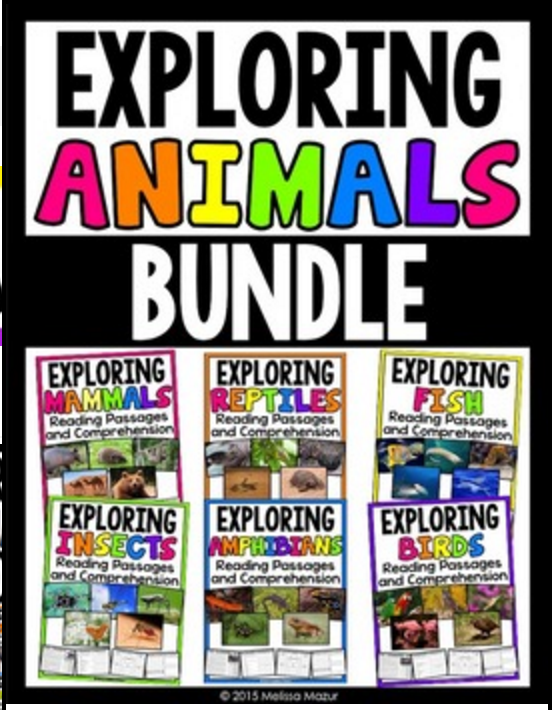 The students and parents all really enjoyed this and now they have this great portfolio to keep for memories. Here are some pictures I took of the night. Unfortunately, I wasn’t thinking and didn’t take pictures of the actual contents of the portfolios, but this is how my room was set up. Let’s take a tour! This is the welcome sign I created with my Silhouette Cameo. The scalloped bunting was downloaded from their website. The letters are actually of a font I created and had the machine cut out for me. 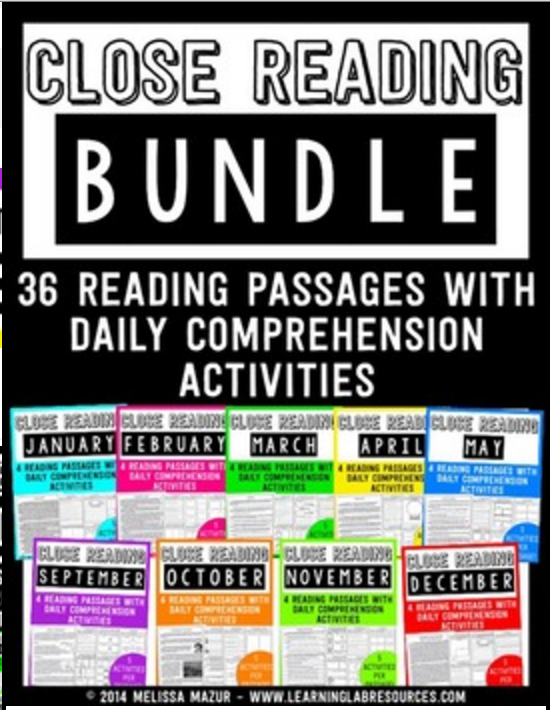 My students loved it so much that they requested I keep it up for the rest of the year. 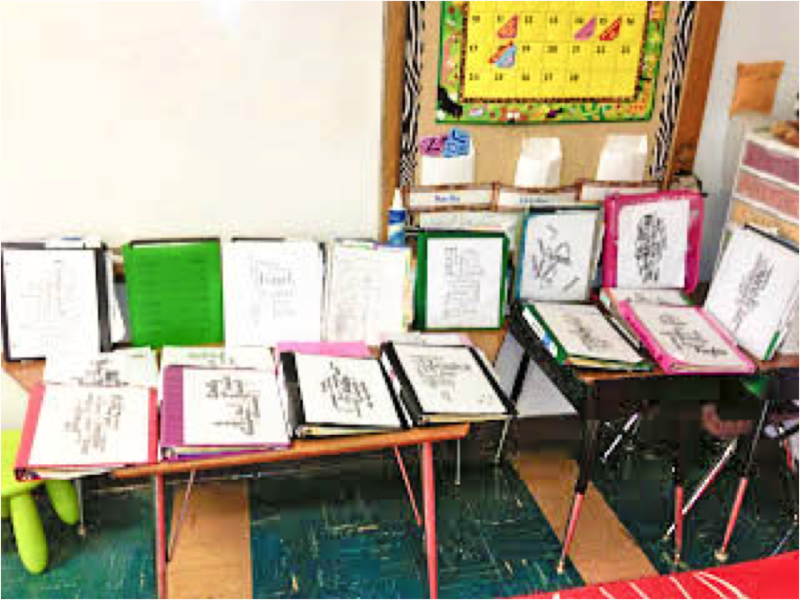 When the families walked in, the students picked up their portfolio from the tables I placed near the door. 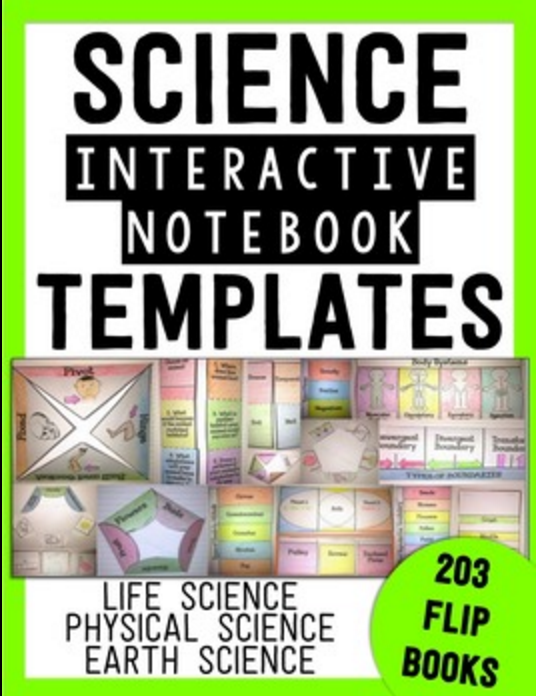 You can see the Wordles that they made as a cover. 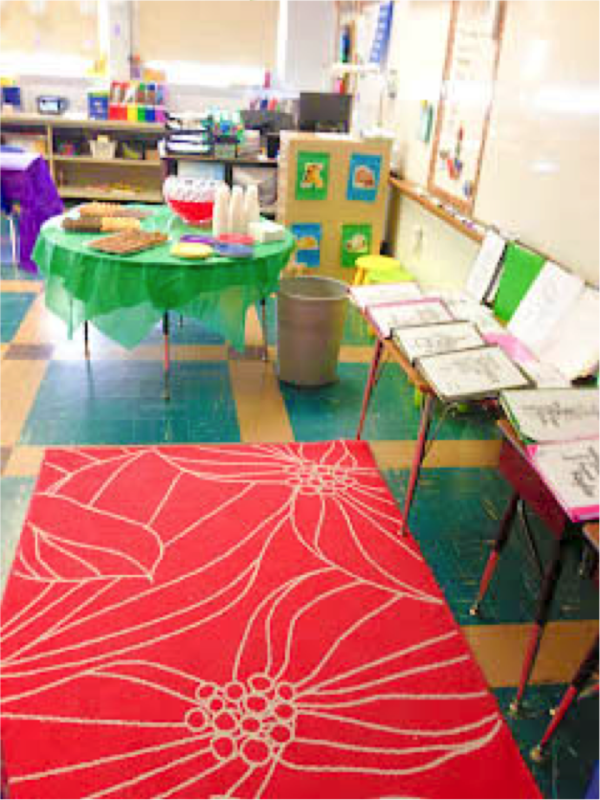 Here is another view of the entrance of the room with the inviting goodies I have laid out. 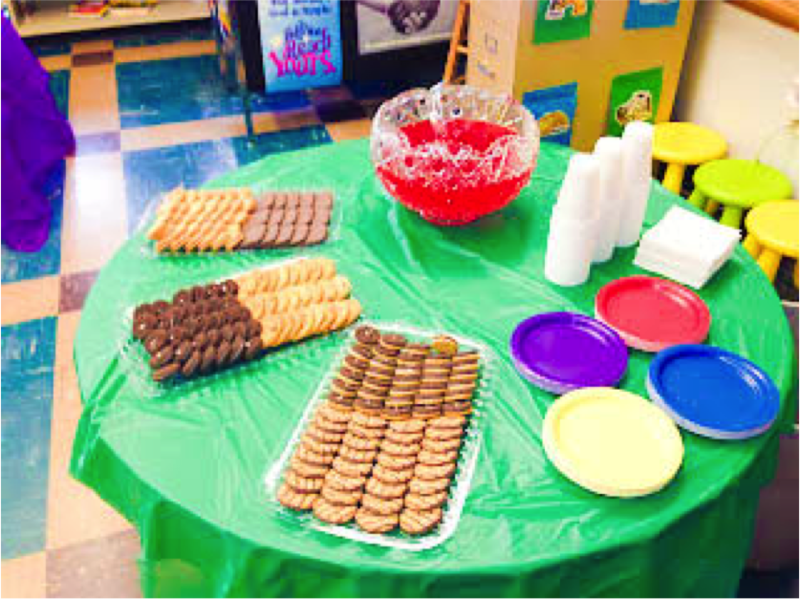 The students helped me set up and were eyeing those cookies behind my desk all day. I wanted to make this as inviting as possible. The punch was just Hawaiian Punch mixed with Sprite. 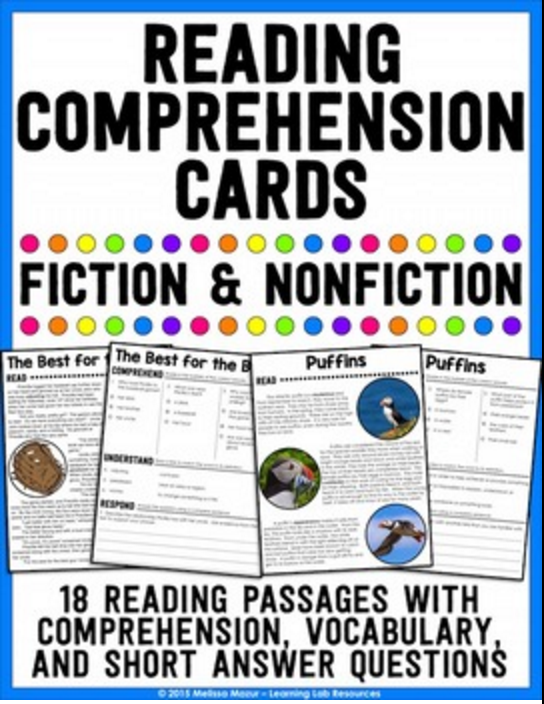 Most of my students hadn’t had this before. When I explain it to them, they weren’t too sure about it, but they absolutely loved it! I also had students whose parents NEVER came to anything this year. I didn’t meet them until Portfolio Conferences because their child wanted to come so badly for the treats! Here is a view of how I set up my room. I told the students how to arrange the desks. 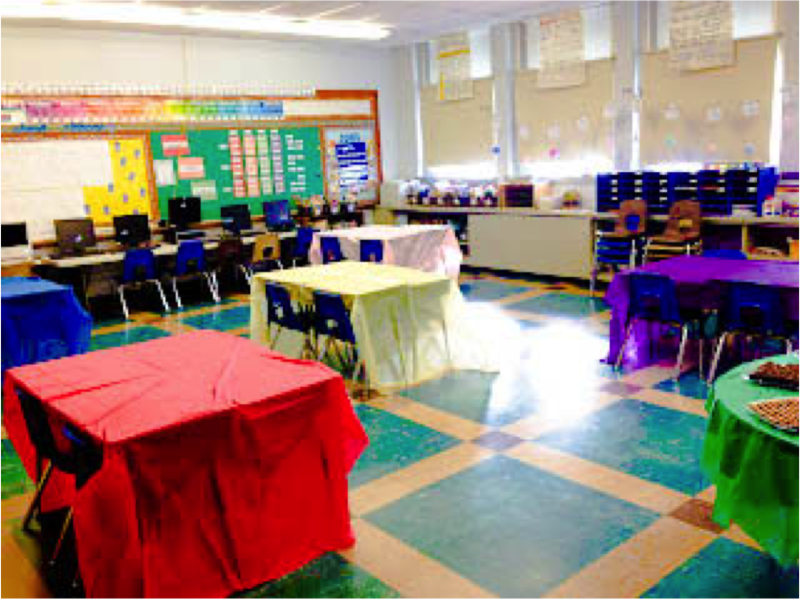 Then I gave each group a tablecloth to lay over the desks. As families came in and grabbed something to eat, they would sit at a group and start. I scheduled 3 students per conference, but made sure to have extra groups available incase some ran over…which they did…and I needed all 5 groups at one point. So glad I did that! 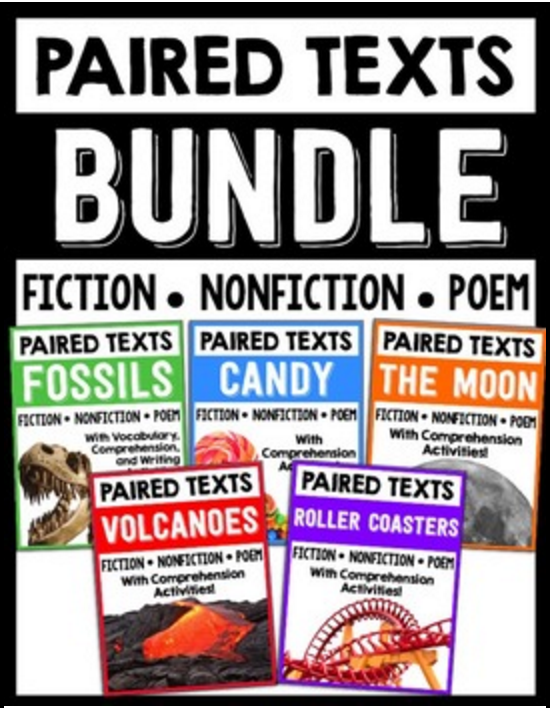 Also, if you’d like a copy of the tags, reflection pages, and letters to the parents, I have it listed in my TpT store as Student Portfolio Conference Binder Materials. Please let me know if you have any questions about this process and I’d be so happy to help you! I positively love this idea! 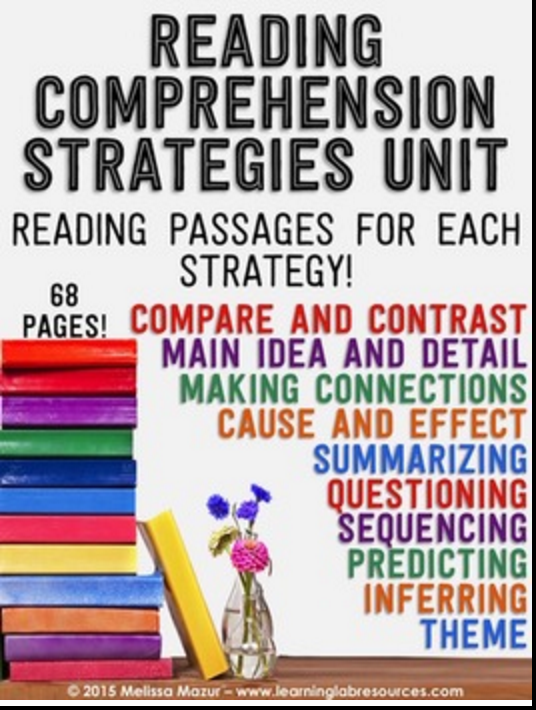 It is to late to get it ready to use this round of conferences, but I can't wait to try your idea next year! How did you interact with the families when there were at least three groups in at a time? Alisha, I would just pop in and interrupt their conference for a few minutes. With some families, I'd sit down right at the beginnings, some at the end, and some during the middle. When I'd meet with the families, I brought over some testing data that I went over for a minute, but then I would just talk with them and their child about the portfolio and ask if they had any questions. Some parents would ask additional questions, but most were just happy to listen to their child. 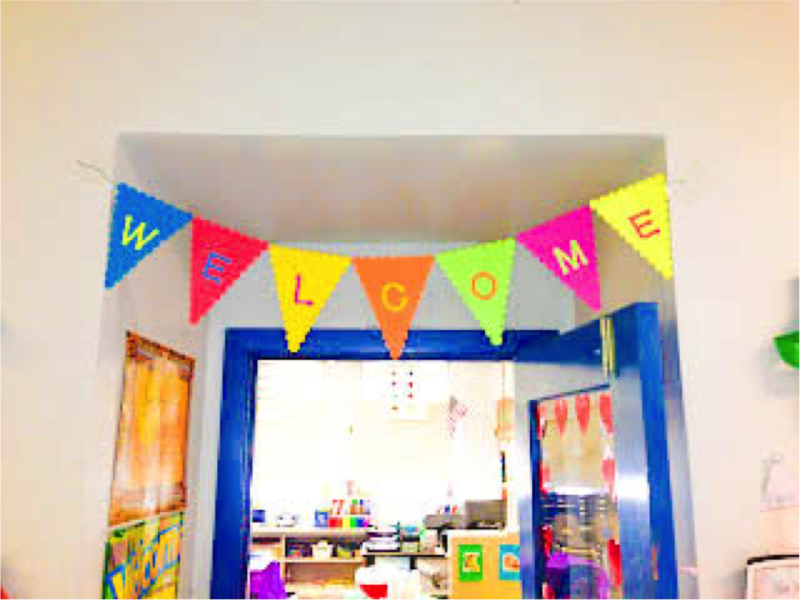 I love the idea of adding treats to this to get the kids and their parents a bit more motivated and I love the welcome sign. I will have to do something similar with my parent nights. I had great results for tech night and not so much for conferences. I am more than willing to give this a go. Thanks for sharing.